Every parent wants their child to express thinking and help engage them in more creative ways especially in the STEM fields. Science and math are quickly starting to become part of the “cool” subjects. Children love learning about the world around them, and especially the magical functions behind why things happen in the ways that they do. Parents remember that myths and lore were once the basis for explaining our existence. Literature and the arts have always been and continue to help us explore our relation to the world. It’s obvious that not every parent has a science degree or even remembers much of biology class except the basics. There are loads of guides, tutorials and fun reference books out there that will help your children learn and your families grow together. Test Winner: National Geographic Kids Why? An update has been completed for this page. Each product and criteria were reviwed and information was added from the current marketplace to reflect the criteria of the website. The books are all relfecting the current 10 top books in the marketplace. 1. National Geographic Kids Why? Why? Why? Why? If this mantra sounds familiar to you, straight from the mouth of babes, most likely, then boy, has author Crispin Boyer got a treat for you. 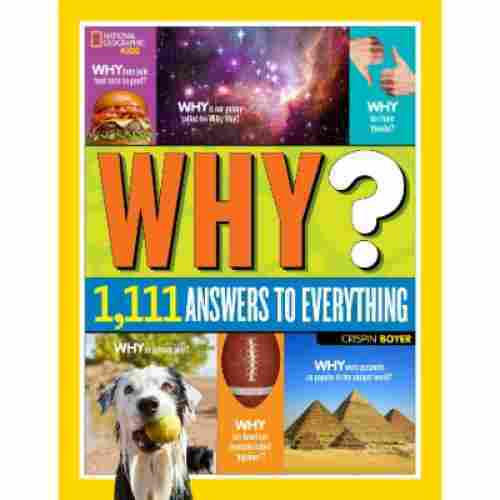 This National Geographic Kids book features 1,111 answers to the most common questions plaguing young minds. 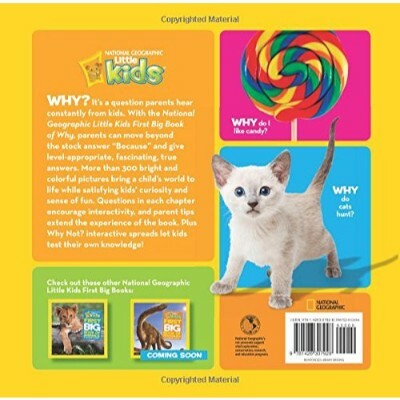 From layouts about the human body (including the color of our snot--you’re welcome for not having to dig up the answer to this question yourself), to sections exploring the deepest part of the ocean, this book is ready to equip readers with lots of fun facts ranging from silly to serious. Explorer profiles helps children recognize some of the leading names in scientific fields. And if you have a bookworm that doesn’t like to sit still for too long, flip to the educational activities sections and get to work experimenting together. 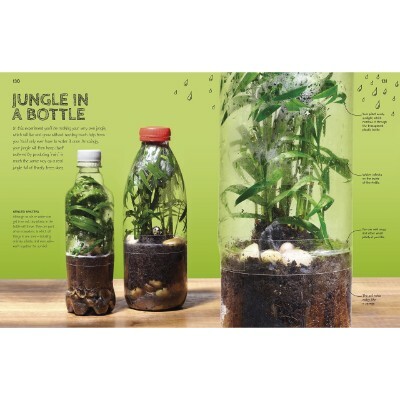 Spanning Human and Animal Biology, Botany, Oceanography, Astronomy, Physics, Geography, and more, National Geographic has the answers to your child’s most pressing questions. Science, when presented well, fascinates and stimulates young minds to ask critical questions, examine what they’re told, and explore the world around them. This book will help children to understand the logic behind some of their most curious inquiries, while encouraging them to keep on asking and learning throughout their lives. The vocabulary is comprehensible but challenging for young readers. This isn’t a silly book of cartoons with a fact thrown in every few pages for good measure; this book is jam-packed with information that kids will find delightful and educational. 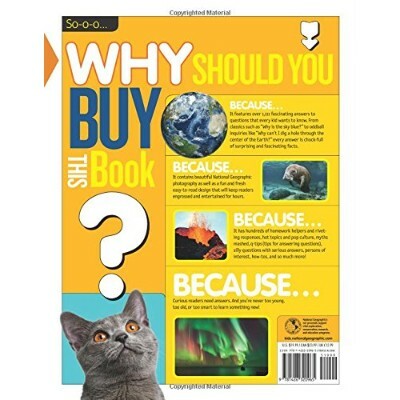 With the National Geographic First Big Book of Why, you’re no longer alone in providing them answers to many of their “why” questions. Shields already did this for you. The learning content is well-grounded in the immediate surroundings of preschoolers so this makes it a lot easier for them to connect the information that they have read to the things that they actually see and experience in and around the home. 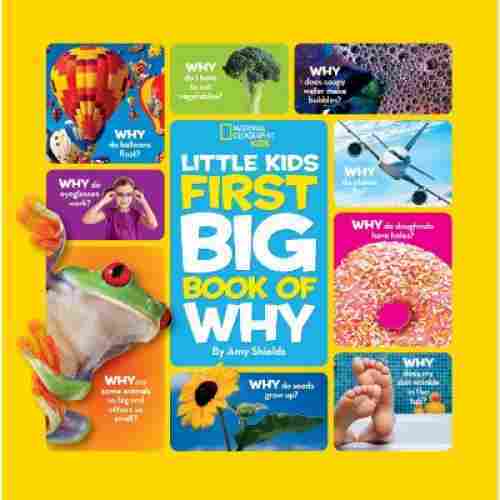 The My First Big Book of Why comes with many fantastic crafts, simple recipes, and very entertaining and educational hands-on games to complement the question-and-answer format that’s been written in a highly interactive manner. The answers themselves are all based on facts, written in a very engaging manner, and is designed specifically for the level of cognitive understanding of preschoolers. There are plenty of pictures, too, to help augment the learning of kids. This book touches generally one a whole range of topics. There are some fun and unique craft ideas that combine science with crafts. This duo makes for an exciting introduction to the world around us. This book is great for children ages three to seven, providing an easy read as your child gets a bit older. There are vivid and detailed illustrations meant to engage and excite your little one. The engaging and level-appropriate manner of the book’s writing make it an excellent choice to introduce to preschoolers certain scientific principles that operate in the world around us. The kitchen in our homes is a treasure trove of ingredients and materials that are just waiting to be discovered, explored, and used in many scientific experiments. 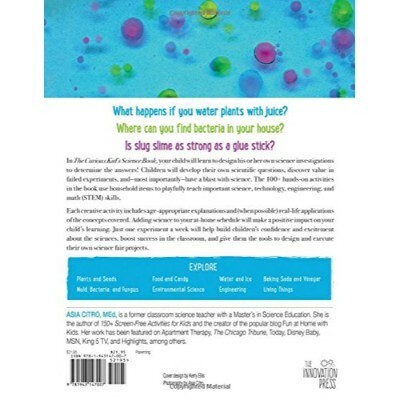 If you’re not sure what it is we’re talking about, you’ll need this Heinecke book about 52 family-friendly experiments that you and your kids and perform using anything and everything you can see around the house. 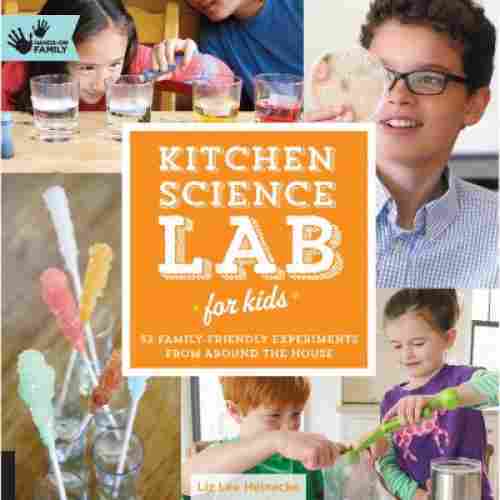 The Kitchen Science Lab teaches kids about the all-encompassing nature of science, that everything around us can actually be explained and tested using scientific principles. 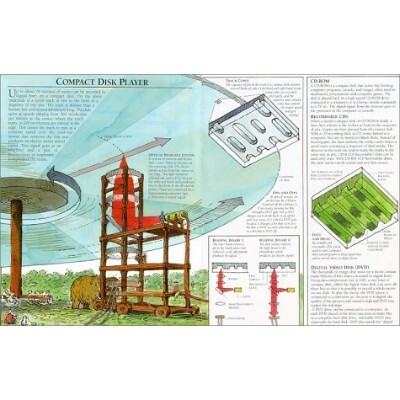 While these concepts may be vague at first, the various illustrations that complement the easy-to-read instructions help provide enlightenment and make learning scientific concepts a lot easier. This becomes a very handy tool in augmenting what has been learned in school. What really makes the Kitchen Science Lab very interesting is that it strongly encourages the entire family to try out these experiments. That way not only is your child learning, he or she is also bonding with the rest of the family, making learning more fun and encouraging. This fun book has a slightly misleading title. At first glance you may think it it a cookbook, which is a form of science some could argue. Upon further inspection it becomes clear, this is a book that does combine two concepts. However you’ll soon realize it’s not the two your may expect. 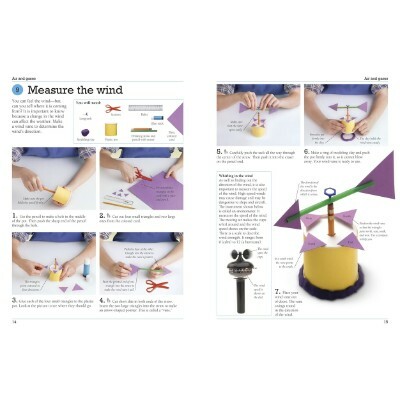 This book introduces arts and crafts wit science to provide your child with fun and engaging experiments. These experiments are designed to help give your child a better understanding of concepts related to chemistry, physics and biology. This book is meant for children ages eight to twelve, but the experiments are safe enough that even toddlers can partake. The use of ordinary ingredients as materials for scientific experiments makes learning biology, chemistry, and physics concepts a lot more interesting and engaging for children. Most of the time you don’t need very complicated procedures to explain how certain things work. 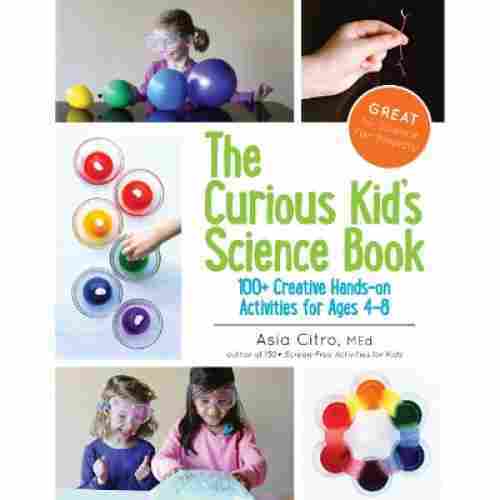 With Asia Citro’s The Curious Kid’s Science Book you’re effectively giving your preschooler or early school aged child all the correct tools he or she will need to experiment or discover a lot of things on his or her own. The book strongly encourages young children to expand their creative thinking about ordinary things – objects that we often take for granted at home. These can be household items or even objects in the kitchen or the bathroom. This type of science books for children motivates kids to ask questions and sets them out to seek the answers themselves. Each of the entries is presented in age-appropriate words and is coupled with real-life applications so that kids will be able to appreciate them better. The next time you perform some household chore, your kids will already be able to explain even in simple ways the purpose of such activity and the scientific reason for doing so. It may sound far-fetched but that’s exactly what The Curious Kid’s is all about. With more than one hundred fun activities this great book is full of informational and engaging ideas meant to keep your little one occupied for hours. The book is organized into chapters so you can easily reference their favorite subjects. Easily identifying sections containing their favorite topics provides a greater likelihood your child will get lost in all the fun. There is so much to be explored in this book, the best is yet to come. 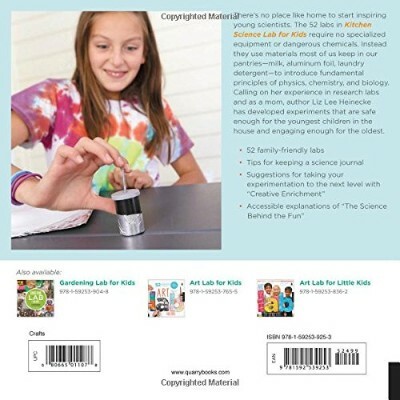 This book provides your child the opportunity to design their own experiments. This will help to reinforce their understanding of these concepts. Simulating the trial and error experience scientists often face will give your child an exciting look into a possible future career. Encouraging children to ask questions and letting them find the answers on their own using some of the principles of science, math, engineering, and technology is simply amazing. The human body is the most complex and most efficient “machine” that was ever created. This is the message that Wynne and Silver’s My First Human Body hopes to impart among young school-age children. It really doesn’t matter if your child will someday become a doctor or any professional that has something to do with the human body, the fact of the matter remains: the human body is one of the most interesting and most fascinating things we could ever hope to learn about and understand. The book presents the human anatomy in a head-to-toe manner, elaborately presenting each body part complete with stunningly artsy images and discussing the function of each in the maintenance of life. Each entry takes children on a mini journey from cells to tissues to the different body organs. They’ll learn the function of body organs as well as make appropriate predictions as to what might happen if these organs become ill and the dysfunction that follows. 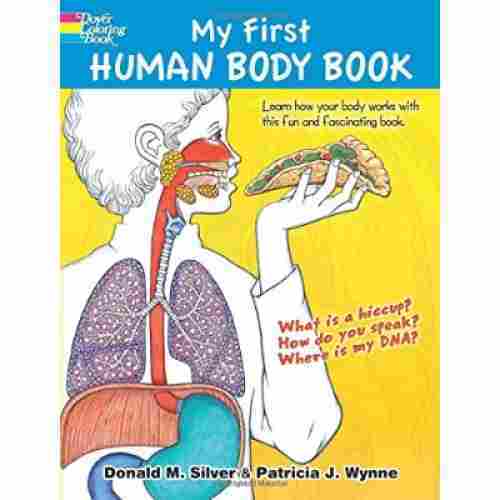 These types of childrens science books are especially beneficial to those who may have an inclination towards medical, healthcare, and biological sciences as it provides an excellent foundation to understanding how the body is organized and how everything works with a purpose. 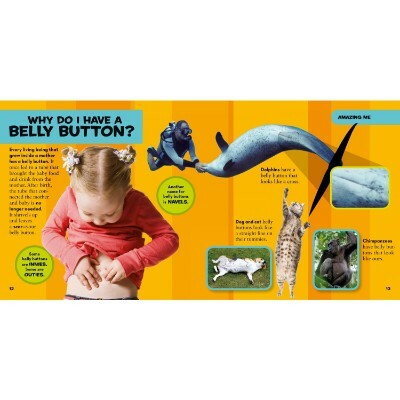 This book is great way to help your child explore our bodies and learn how they function. The pages are meant to be colored by your child to give them a fun activity in addition to cool learning tool. There is an explanation of how DNA is different from person to person. There are explanations of the functions of systems in the body such as nervous and skeletal. There is also an explanation for how many bones can be found in the body. The presentation of an otherwise complex set of body organs and their functions in a manner that is easy to understand is exceptional. For the young geologist in your family, you can further enhance their fascination with earthly materials by giving them Tomecek’s Rocks and Minerals from the Kids Everything series of the National Geegraphic. For us, studying rocks, minerals. stones, and gems can be considered as boring. For your child, it can be the most exciting thing for them. 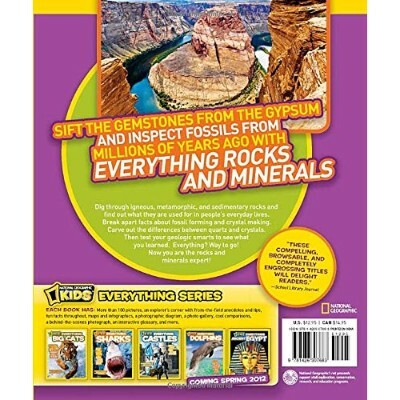 With eye-popping pictures in stunning full color and very fun and informative description of each stone, gem, and rock, the Rocks and Minerals truly is one of the best and truly educational childrens science books that specifically introduces kids to the wonderful, albeit often misunderstood world of geology. Reading through the learning material is never a bore since Tomecek made sure that it’s infused with humor that kids will truly appreciate. It makes learning an otherwise boring subject more fun. This book is as beautiful as it is informative. It introduces your child to images of rocks but also includes a general explanation. Additionally, it covers rock formations and volcanoes. This can really reinforce for your child the concepts of what minerals comprise our world. The soil found in your yard, the sand found at the beach, there are so many places to discover rocks and minerals this book will enhance your child’s exploration experience. The book is easy to read and understand making it a great introductory book for your child. The fun and entertaining approach to the presentation of an otherwise very boring and dull subject is outstanding. 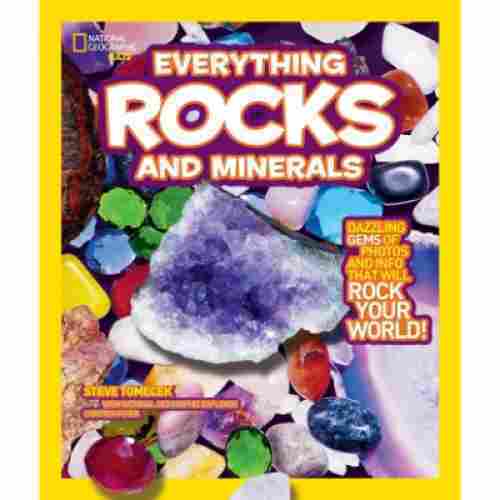 It should also be helpful for adults who don’t understand what rocks and minerals are. 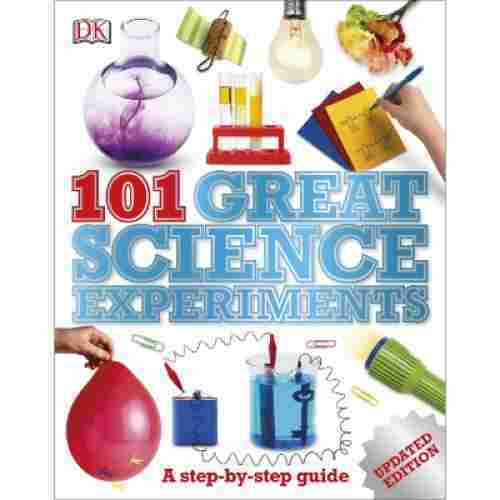 Boasting of more than a hundred different experiments that children can try at home using many of the resources that can be found at home, this Neil Ardley literary work, the 101 Great Science Experiments, can be rightfully considered as one of today’s most inspiring science books for children. It’s presented in a very comprehensive manner, taking into consideration the developmental level of children who are going to use the book. Many of these experiments can be performed by school aged children, on their own without any supervision from mom or dad. This should help foster a sense of independence while also helping in the development of appreciation for the scientific problem solving process. Some of the experiments are best performed with the whole family, though. This is especially beneficial in strengthening family ties and for fostering a sense of cooperation among family members. It also teaches kids that the family is there to support one another even in scientific pursuits. The book is filled with graphic illustrations as well as easy-to-follow instructions on how to perform these 101 experiments. This fun and comprehensive book offers so much fun to be had. To support team spirit and promote family bonding time are experiments that can be performed together, some that even require assistance. However if youre looking to keep your child occupied while you get some housework done or what have you there are a number of experiments meant to be performed independently. 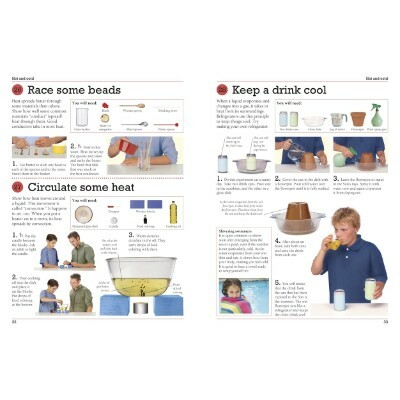 There are step by step instructions making each experiment easy to understand, even though they may require a little help. This is an informative and educational tool meant to keep your child engaged and stimulated for hours. The number of kid-friendly and family-friendly scientific experiments included in the book makes it one of the best resources for building appreciation for science not only among kids but the entire family as well. By the time your kid finishes reading the Brain Games from the National Geographic Kids, he or she would have already harnessed the true potential of the human brain. Well, that is the whole idea in this reading material penned by Swanson and Green. Considered as one of the best science books for children, although it only talks about one particular body organ, the Brain Games gives school-aged children a very rare glimpse into the structure and function of the human brain. 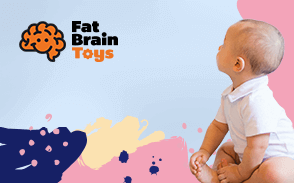 It integrates crazy challenges and fun facts with brainy new nuggets to temper the otherwise very complicated nature of cerebral, brainstem, and cerebellar functioning. Kids are taught on the different structures that make up the human brain including the functions of each part. And as we have already said, by the time they’re done reading, they’d appreciate the popular adage among scientists that the human brain is indeed the most awesome super-computer of all. This book introduces your child to the functions of the brain. There are bright and vivid pictures that include detailed explanations of each part of the brain and how it functions. There also activities meant to give your brain a break which can be incredibly useful. For those days when your child seems to be too stimulated and unable to focus their attention, these activities will help them take a step back and rest. 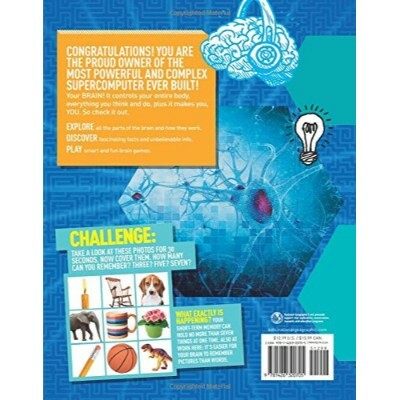 This book is full of fun facts and other brain challenges for help provide stimulation for healthy brain development. 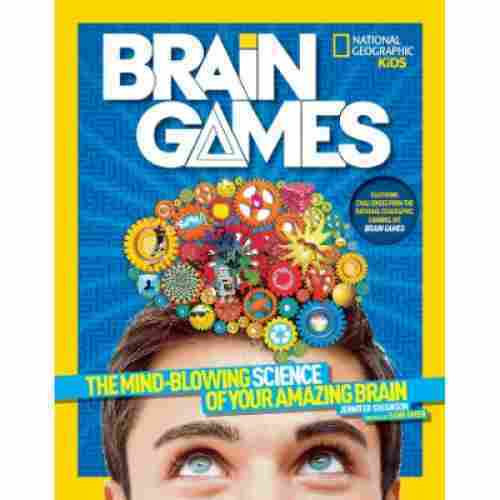 The Brain Games makes for an excellent companion to the children’s version of National Geographic Channel, making it a lot easier and more engaging for children to appreciate the true beauty of the human brain. 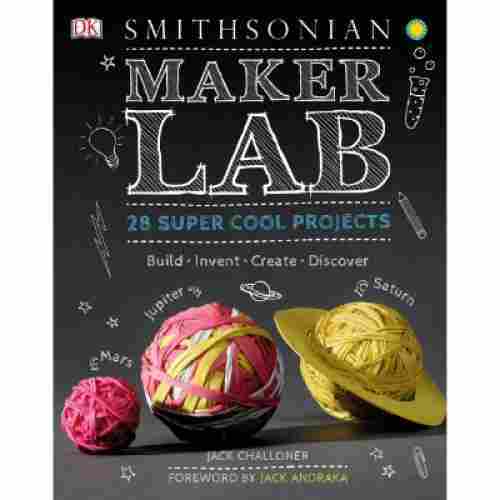 Science teachers and parents alike agree that Maker Lab: 28 Super Cool Projects by Jack Challoner is a massive hit for every age from 5 to 50. Each page is filled with full-color photos, step-by-step instructions, and a colorful layout guaranteed to entice even the most standoffish child into flipping at least a few pages. The experiments are designed with parents in mind, providing a plethora of activities that require no more components than what can normally be found in a household. Build a volcano and learn about lava flow. Explore weather patterns with a wind catcher. 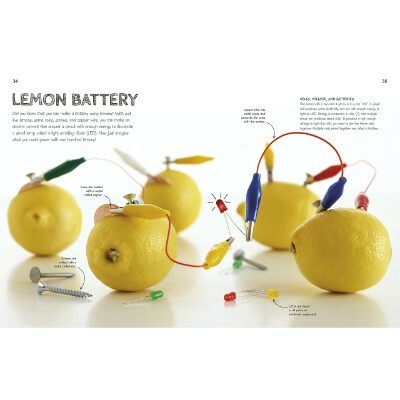 Discover the difference between voltage and amperage with a lemon battery. Whichever experiments you decide to create you can feel confident knowing that your child will be gaining the knowledge that will help them succeed in the future while also fostering their innate desire to create. 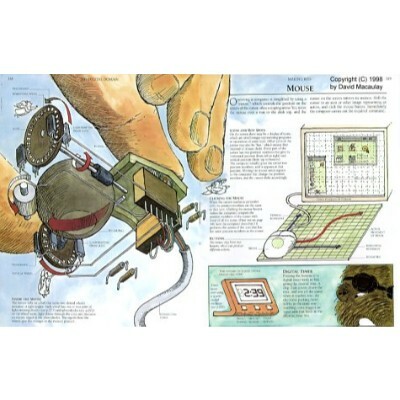 Encourage your child’s inner inventor and watch as their fascination with the sciences grows. 28 different activities await your budding scientist that are guaranteed to not only provide an afternoon full of familial bonding and hands-on fun but will also foster their creativity as they explore the real-world applications of these time-honored experiments. This book is designed to stand the test of time by focusing purely on the science and provides multiple levels of difficulty to entice kids from elementary age up to teens. Each experiment is designed with STEAM education principles in mind and carefully details the ‘why’ and ‘how’ of each activity. These are the kinds of experiments that are perfect to fill an idle rainy day afternoon using only simple tools that you already own. Our kids are growing up in the technology age and we, as parents, will be expected to be able to answer the many how’s and why’s of what this technology is and how it works as they grow. 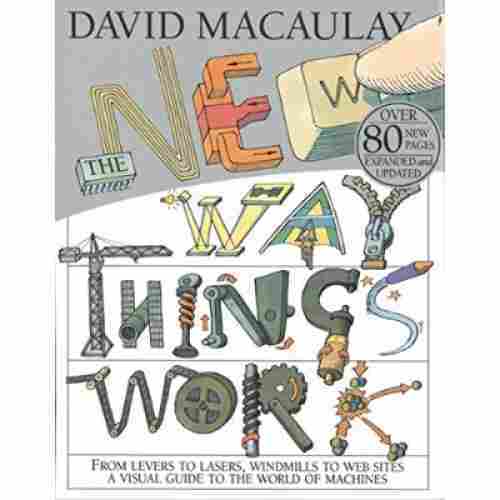 The New Way Things Work by David Macaulay has been the perfect tool to explain these concepts since its original printing in 1988. This version has been fully updated to keep up with current technology. When technology is so prevalent in life, its functionality can slip beneath the sphere of our notice and understanding very easily. For example, we all know what email is of course. We know how to send an email and read email but have you ever wondered how, exactly, email works? How does your computer know how to disassemble that cat picture you found on Facebook into ones and zeros, transmit those ones and zeros across thousands of miles, and then reassemble them in your grandmother’s inbox? What in the world could remote controls and rockets have in common? What exactly is 4K? 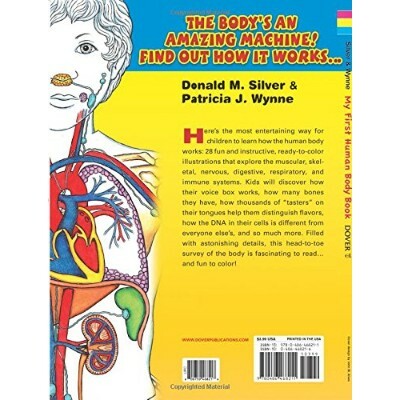 These are just a few of the questions that this book can explain in simple, easy to understand terms so that both you and your child can have a better understanding of the fascinating machines that function around us all the time. 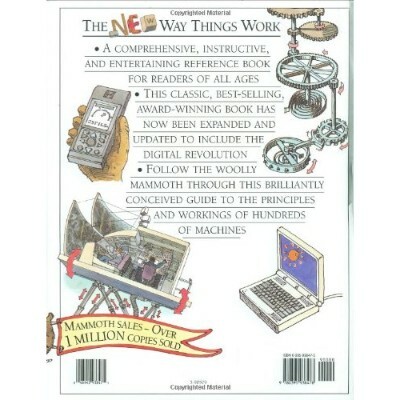 This book can answer many of the questions your child may have about the inner workings of the machines around them. The cartoon-like art style and simplistic explanations provide an ideal way to explain very complex concepts such as e-mail in a way that children can understand. This understanding can help foster an interest in other areas of science, technology, and engineering. 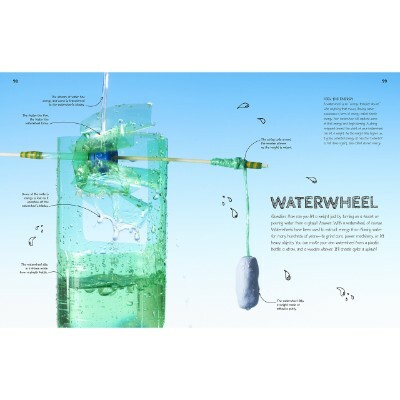 This book would make an ideal add-on to any STEM-based homeschooling course as well. This book can help answer the plethora of ‘How’ and ‘Why’ questions that our children throw at us by providing easy to understand explanations behind many of the complex concepts we deal with in modern life. Some people have extremely strong opinions when it comes to mentioning math or science. You’ll find people who love it and you’ll even find some who absolutely hate it, there isn’t usually an in between. No matter how we feel about math or science, it seems to be a constant theme in our everyday lives. When finding the perfect solution may not be realistic, provides parents with some great options. To help find a creative way of thinking for whatever you or your child may need for STEM studies, we’ve come up with a list of some of the highest rated books currently available. If you have a child who hates the concepts but knowing they are unavoidable, your desperate way to find a fun way to keep them engaged is to find the perfect book to help keep your little one excited. Everyday we’re constantly being told that the outdoors and fresh air are good for us. There are also so many reasons to stay inside that it can sometimes be hard to motivate your family to get out and moving. While there are few books that will help promote your child to the outdoors, many of these STEM related books simply explain that the wonders the world has to offer. It’s also a great activity parents can give their child to help inspire curiosity for the outdoors that can only be quenched by going out to explore. With interactive experiments and projects, these books are versatile in a way where they support both socialization and independence in your children. There are so many activities that your child can perform solo which also helps reinforce confidence and a little independence. However, if you’re hoping to find something that will help promote that extra family time, there are also activities in these books that will help create those family memories. Spending time together as a family is extremely important, especially if you’re stuck indoors together on a rainy day. 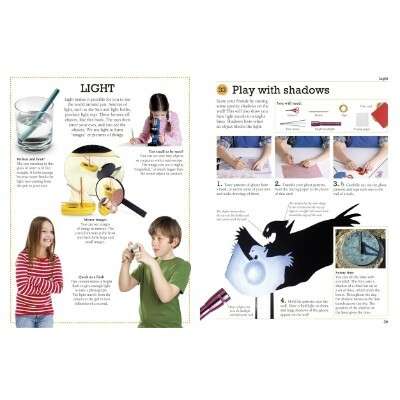 These books have a number of experiments and hands on activities that we’re sure anyone in your family will love. 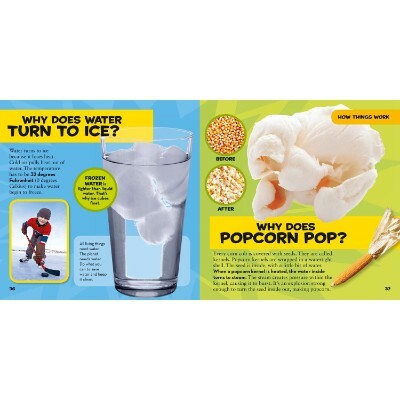 These science books also provide some informative explanations and promote forward thinking in your children. Without a second thought they can seem really simple or unimportant concepts. Sometimes it can be overwhelming with so many things to try and so many things to learn. These books offer easy simple to read explanations and step by step instructions along with experiments and other activities. This can be paired with the visual appeal and fun factor guarantees that you’ll find as an option to inspire those inquisitive little minds that need constant stimulation throughout the day. Children only believe the things that they see. Most of the time they are so literal about everything that it can sometimes be hard to explain concepts to a child if they can’t visualize it. These books help provides stunning visuals and reinforce their concepts making it much easier to explain to your children. A child can ask what feels like to a parent hundreds of questions every day and having these books around the house will help parents be able to give a child an answer to those questions along with some visual representation as well. Topics covered in these books range anywhere from geology to outer space, with so many things in between as well. Whatever your child is curious about within the world one of these books on our list will have the answer to it. These books provide your children also with various games, activities, and some even have experiments. It’s a great, creative, fun, learning way parents can give their child to help inspire curiosity and expose them to exciting mysteries of the world. That reading science books is a great way to boost your child's creativity and increase their flexibility. Readers of non fiction books are emerged readers and show stronger decision making and better processing skills. Picking the right science books that are especially written for kids was particularly challenging since there are a lot of titles that need to be evaluated. Each of these had their own strengths and weaknesses and as such, we had to focus most of our attention on those that can provide the best value for kids’ learning of fundamental concepts in science. This was closely related to the recommended age of children for which these reading materials were intended. It was imperative that the learning materials be congruent to the cognitive abilities of children for which these were written for. Otherwise, either kids will have difficulty understanding the material or children will grow bored of its oversimplified nature. We thus, read a lot of reviews as well as feedbacks from customers, noting their experiences, their thoughts, and their general acceptance of such reading materials. While there were negative comments, we did try to evaluate these within the context upon which the issues were raised. We then came up with a more comprehensive understanding of the overall usefulness of such books in developing and advancing the learning abilities of children related to science subjects. For many, science is a fun hobby. People enjoy learning in their spare time about the world, its mechanics, and what we have yet to discover. For others, the process of experimentation, theorizing, and analysis is so stimulating, it becomes a lifelong passion they turn into a vocation. Scientists are often represented as socially disconnected adults in lab coats. But the truth is there are hundreds of thousands of jobs available in STEM fields with all kinds of varied responsibilities and required skill sets. Engineers are all technically scientists. Physical engineers are well-versed in structural sciences and help to create safe, sound buildings for our communities. The video games your child plays? The coding is all accomplished by computer engineers well-versed in algorithms and computational sciences. Astronauts are scientists. Electricians are scientists. Doctors are scientists. Criminal investigators often consult forensic scientists. Help your child escape the notion that learning has to be boring and sedentary. Talk to them about the many people in their life who practice some form of science regularly, and take great pleasure in it. Whether your child wants to dive deep with the creepy critters of ocean floors, or dig for fossils, there are tons of hands-on fields for them to explore. And whether they intend to pursue science within their career, or simply love it and wish to keep it as a steady part of their life and hobbies, giving them the tools when they’re young to explore and learn is central to their happiness and success. Science books for children are very important in advancing not only their academic competencies but also in aiding them to understand their unique world. These 10 best science books for kids were all carefully selected based on the fact that children will best learn by doing things and by augmenting their activities with appropriate reading materials. For some great product ideas for science related educational gifts, also make sure you read our post on the top science toys for kids. q: What topics are covered in these books? They all touch one a range of science concepts such as physics, chemistry and earth science. There are some books that include concepts from all the STEM studies. q: What is the age range for these books? When experimenting is involved it is highly recommended to have adult supervision but these activities are simple enough for a range of ages to participate in. They all start with a minimum age recommendation of around four. They go up to a range of ages from eight to around twelve. q: How many pages are there in the books? They all contain at least 50 pages, while there are a couple one here that have more than 200 pages. The average is probably around 100 pages. q: Are the experiments time consuming? While some do have an instant reaction, there are some activities in the books that may take some extra time for preparation or to perform. q: Are there “ingredients” that may be a choking hazard? Yes, it is possible to choke on some items required for these activities but with proper care and the right amount of adult supervision there should be nothing to worry about. If it is a huge concern for you, there are a couple of books that are not as hands on/interactive as others. q: Can these books be used for children in school? The books do suit that age range. There some books that are great to use in a classroom. It is not recommended to use all in a class setting. This is because there are a number of experiments require use of ingredients that aren’t typically found in a classroom. q: Are there other book available for purchase that are similar to these? There are many great books available that are similar to these or even manufactured from the same company.